I had always thought that Japan would be one of the first countries to embrace the iPhone. I was wrong – as were the other people who thought the same way. The iPhone has been out for a few years now, but it isn’t till recently that the Japanese welcomed the iPhone. Countless people have speculated on the reason for the initial coldness the Japanese displayed towards the iPhone. Some say that maybe the mobile phone is simply too functional and lacks the glitter that the Japanese like. Others say that it could be that the Japanese were merely reacting to something Western and not made (and designed) in Japan. Whatever the reason, it is now moot as the Apple iPhone has captured countless Japanese technophiles – and is going strong. 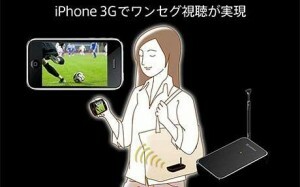 You want proof that the iPhone is indeed making it big in Japan? This could very well be the biggest proof of all. Try visiting the app store. The chances are that you will be overwhelmed with the huge number of applications, and mind you, these are not your run-of-the-mill apps that you can find. They are the products of super creative Japanese minds, and from what I hear, these apps will blow your mind away. Another indication that the iPhone is starting to make waves is that more than apps, hardware is also being developed and released, not to mention the bling (stickers and accessories) that the Japanese is known for. So for the naysayers out there, the iPhone looks like it is proving itself once again. This time, to one of the biggest and critical markets in the world.